The criminal justice system’s continuing failings on disability hate crime have been highlighted by the sentencing of a brutal murderer, just 24 hours after the publication of a highly-critical new report by three watchdogs. 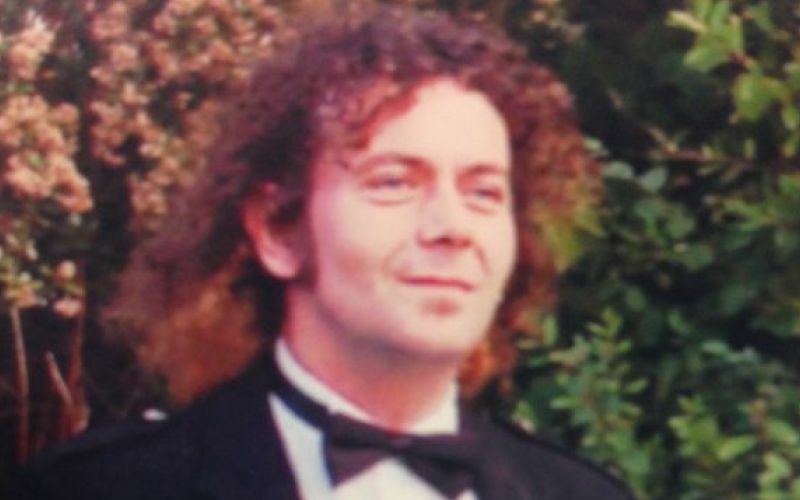 Clare Humble, 50, from Bedlington, near Newcastle, was convicted of murdering her disabled partner Peter Hedley (pictured) in a violent and sustained attack on 31 October or 1 November last year. The court had heard how she repeatedly punched and kicked his face, hit him repeatedly with a heavy round table-top, stabbed him with broken crockery, and possibly even tried to gouge his eye out. She then took his body to woodland and set it on fire, with the help of a former partner. Humble was jailed for life last week at Newcastle Crown Court, and was told that she will serve a minimum of 20 years in prison. But the murder was not treated as a disability hate crime. If it had been, Humble would have had to serve a minimum of at least 30 years in prison. Instead, the judge merely took account of Hedley’s “vulnerability” in sentencing. The court heard that Humble had exploited Hedley and used his benefits. And the Newcastle Chronicle told after the trial how Hedley confided in a local newsagent that he had been attacked by his partner. The newsagent described how Hedley frequently visited his shop with injuries that appeared to have been caused by Humble. Another friend told the Chronicle how Hedley had confided in him that Humble had pushed him down some stairs. Anne Novis, a coordinator of the Disability Hate Crime Network (DHCN), said: “It saddens me that yet again ‘vulnerability’ is used as a reason why someone is attacked, abused, taken advantage of and murdered when it’s so clear this man was killed due to being a disabled person. “Hostility directed towards a disabled person because they are ‘vulnerable’ is clearly cited as hate crime in the CPS guidance on disability hate crime and perceived as such by those of us who have worked on this issue for decades. In a blog posted on the DHCN website only last month, Novis said: “It frustrates me immensely that in my work advising justice agencies, again and again the issue of ‘vulnerability’ becomes a stumbling block in the work on disability hate crime. The day before Humble was sentenced, a report by HM Crown Prosecution Service Inspectorate, HM Inspectorate of Constabulary and HM Inspectorate of Probation concluded that the police, Crown Prosecution Service (CPS) and probation service had failed to implement a series of recommendations they had made in 2013 on dealing with disability hate crime. The 2013 report, Living in a Different World, said the criminal justice system had let down victims, pointing out how failings across the system helped lead to some of the most notorious disability hate crimes, including the deaths of Francecca and Fiona Pilkington, David Askew and Michael Gilbert. Disability News Service (DNS) has been reporting on the criminal justice system’s failings in dealing with disability hate crime since 2009, while the police, prosecutors and probation service – and other agencies, including the courts – have repeatedly been urged to improve. Last week’s report revealed that police were still only correctly identifying 20 per cent of disability hate crimes in the files they passed to the CPS. And it found that, in all but five per cent of files where it appeared to be relevant, CPS had failed to seek the necessary further information on the disability hate crime aspects of a case from police. Home Office figures released last October showed that the number of disability hate crimes recorded by Northumbria police dropped from 38 in 2012-13 to just 33 in 2013-14. A spokesman for the force said that Hedley’s “vulnerability” was considered an “aggravating factor” by the judge and that this was reflected in Humble’s sentence, which was “over and above the 15 year starting tariff”. Chief superintendent Tim Walker, the force’s head of crime, added: “A full investigation was carried out into the murder of Peter Hedley and all motives were considered when investigating the case, including the possibility that it could have been a disability hate crime. “After a lengthy investigation, a team of highly-experienced detectives found there was absolutely no evidence that Mr Hedley was targeted as a result of his disability. “Northumbria police are committed to tackling disability hate crime and we will fully investigate the motives behind every one of our cases. “Making sure the most vulnerable people in our society feel safe is one of the force’s highest priorities and we will continue to work towards protecting those who need it. “All of our officers receive training in how to identify and tackle disability hate crime and we will do all we can to ensure these cases are fully and sensitively investigated. “We have also launched marketing campaigns including, ‘Being you is not a crime, targeting you is’, to try and raise awareness with the public and encourage victims to report incidents to police. “More than 100 third-party Safe Reporting Centres have already been established in communities across the force, which offer victims a chance to contact police in an environment [in which]they feel comfortable. “We also have a dedicated team of community engagement officers, who work closely with neighbourhood police teams to help identify disability hate crime. “These members of staff work in the community with people who are more vulnerable to hate crime. They offer help, advice and support for anyone who needs it. CPS was not able to comment in time for DNS’s deadline.